Studies have shown that reducing carbohydrate intake can be an effective strategy when trying to lose weight. Studies also show that eating plenty of vegetables can be beneficial for weight loss. If you’re trying to reduce carbohydrate consumption but also want to eat more vegetables at the same time, there’s good news – the vast majority of vegetables are low in carbs. In this article, we will list out the total carbohydrate and net carbohydrate content of various low carb vegetables. Net carbs are calculated by subtracting fiber content from total carbs. So if a vegetable has 10 g of carbs and 4 g of fiber, the net carbs would be 6 g.
The reason why net carbs are important to keep in mind is because a lot of the fiber that you eat is not utilised as an energy source. Instead, it passes through your digestive system, helping to push food along and adding bulk to your stool. The name watercress is fitting because this vegetable is made up of around 95% water. And because water has 0 calories, this vegetable only has 4 calories per cup! This, together with its super low carbohydrate content makes it an excellent food to eat when trying to lose weight. You can easily grow watercress on your kitchen windowsill and use it in dishes whenever needed. Also known as Chinese cabbage, bok choy is a leafy green vegetable that is highly nutritious. A cup provides you with large amounts of vitamins A, C and K, calcium, iron, potassium and manganese. It is also another water rich vegetable, having only 12 calories per cup. Bok choy is super delicious and very common in Asian cuisine. Stir frying it with some chicken breasts will leave you with a filling and low carb meal. Also known as rapini, this cruciferous vegetable resembles ordinary broccoli in a lot of ways. As you will find with most of the other green vegetables in this list, it has a powerful nutritional profile. Broccoli rabe plays a big role in European cuisine, being enjoyed in French, Italian and Portuguese dishes. Because it has a bitter taste, it is advisable to cook it with aromatic herbs like garlic and ginger. Lettuce is perhaps one of the most commonly eaten vegetables because it is usually used as an ingredient in salads, sandwiches and burgers. 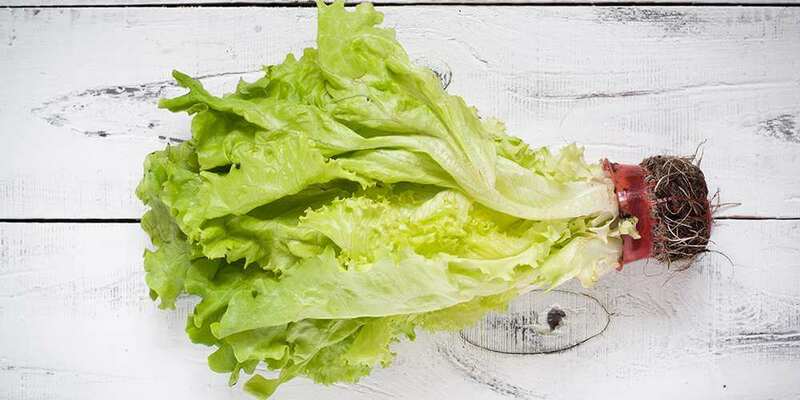 There are various types of lettuce available, including iceberg, butterhead and romaine, all of which are low in carbs and calories. Lettuce is not the most interesting of vegetables out there but is very easy to incorporate into your diet. Celery is often claimed to be a negative calorie vegetable because it is believed that more energy is required to digest it than it provides. Whilst there are no scientific studies to prove this is true, celery still only has 16 calories per cup. Despite having a salty taste, celery is not very high in sodium; a cup only provides you with 3% of your daily requirement. Unless you have been told not to eat celery by your doctor, it is perfectly fine to include it in your diet. Also known as summer squash or courgette, zucchini is a vegetable that resembles the cucumber, as can be seen in the image above. Even though it feels firm and tough to the touch, zucchini is another water rich vegetable. Over recent years, this vegetable has become extremely popular because it can be used as an alternative to carb rich ingredients such as wheat. The most talked about dish that it is used in has got to be zoodles, which are noodles made from zucchini. Purslane is often considered to be nothing more than a weed and is often dug up and discarded by gardeners. What is lesser known is that this weed is in fact edible and quite nutritious. The carbohydrate content of purslane is also very low, at only 1.5 g per cup. The next time you’re out in the garden, look out for this plant. If you’re lucky enough to find it, dig it up, rinse it under the sink and include it in the food that you eat. Radishes are a root vegetable with a unique appearance, having a pink outer skin and white inner flesh. They provide a satisfying crunch when bitten and are widely available in most grocery stores. Radishes can be eaten raw or cooked, providing you with around 2 g of fiber per cup serving. Cucumbers are a source of antioxidants, which means eating them helps to reduce inflammation in the body, thereby reducing the risk of numerous diseases. Their high water content means that eating cucumbers can be compared to drinking vitamin and mineral enriched water. Because of their neutral flavour, cucumbers are a fantastic vegetable to include in smoothies. Some recipes you can enjoy are our ‘Super Sunrise‘ and ‘Liquid Velvet‘ smoothies. It is well-known that eating leafy green vegetables is very good for you because they are some of the most nutritious foods on the planet. 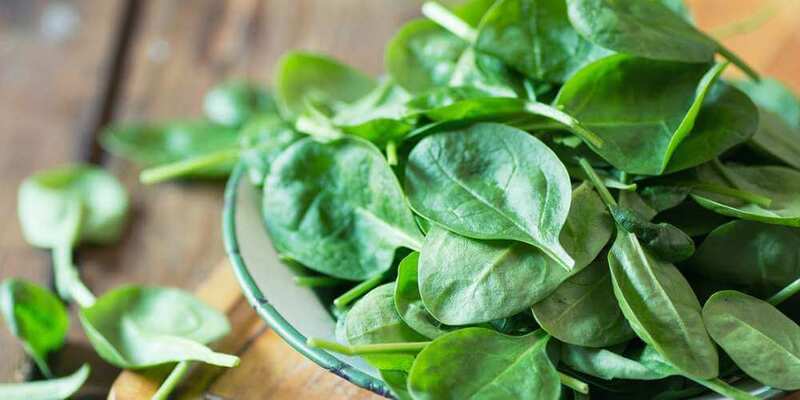 A great example of this is spinach, which provides you with all of your daily requirement of vitamin K per one cup serving. Unlike many other leafy greens, spinach does not have an overpowering flavour, so it too is a great ingredient to add to smoothies. Commonly referred to as rocket, arugula has a distinct peppery flavour and is a great ingredient to add to salads and sauces. Arugula contains a compound know as erucin, which may have tumour fighting properties, as seen in this study. Arugula has very few carbs, with less than 1 g per cup serving. The yellow, pink, white and green stalks of Swiss chard leaves will brighten up any kitchen. This vegetable is a rich source of numerous antioxidants, vitamins and minerals, which in turn are responsible for the many health benefits eating it brings. Also known as the spear of the vegetable world, asparagus has almost 3 g of fiber per cup, which brings down its net carbohydrate content considerably. Besides fiber, it also has significant quantities of vitamins A, C, E, and K, the B vitamins, iron, potassium and manganese. A common way of preparing asparagus is to lightly drizzle it with oil, season it with salt and pepper and then grill it in the oven. Radicchio is a cultivar of the common chicory plant and is relatively easy to grow. It can be eaten both raw and cooked, working well in things like risotto and stir fries. Even though radicchio is not a green vegetable, it still has considerable amounts of vitamin K. And like most of the vegetables in this list, it is very low in calories, having only 9 per cup. Bell peppers are also known as capsicums (or sweet peppers) and come in an assortment of vivid colours. The carbohydrate content does vary slightly among the colours; a cup of red bell peppers has 9.4 g total carbs whereas the green variety has 6.9 g.
Bell peppers are a potent source of both vitamins A and C, with one cup of the red variety providing you with more than 300% of your daily requirement of the latter. A cup of cauliflower has around 5 grams of carbohydrate, much of which is in the form of fiber. It is a cruciferous vegetable, a group of vegetables that have been linked with a reduced risk of cancer and heart disease. Cauliflower may be considered to be a bland and boring vegetable, but it is very versatile. For example, did you know you can use it as the primary ingredient for preparing pizza bases? Even though tomatoes are technically a fruit, they are generally eaten like a vegetable. Unlike most fruits, they are low in sugar, having less than 5 g per cup. That same cup has around 7 g of total carbs and 2 g of fiber. Tomatoes contain lycopene, a pyhtonutrient with powerful antioxidant properties, which helps to fight off cancer and promotes eye, brain & heart health. If you take a look at the nutritional profile of collard greens, you will be seriously impressed. They are one of the best vegetable sources of calcium out there, providing you with around 50 mg per one cup serving, a lot of which is absorbed by the body. Like as is the case with other leafy green vegetables, the carbohydrate content of collard greens is very low. We already mentioned bok choy above, however cabbage comes in a number of varieties, each with their own shape and shade of green. You can learn about all the different types of cabbage here. Cabbage can be eaten raw, roasted, boiled and stir fried. This means it can be used in all kinds of recipes, many of which are low in carbs. Kohlrabi is a vegetable that you may not have heard of. It has a pale green outer layer with a white inner flesh. Even though kohlrabi has a higher total carbohydrate content than other vegetables, a lot of this is in the form of fiber (it has 5 g per cup). If this is a vegetable that you have just discovered and want to try out, check out these recipes you can use it in. A root vegetable, turnip is a common ingredient in soups and stews. Turnips contain beneficial plant compounds such as brassinin and glucosinolates, which have anti-cancer and anti-parasitic properties. If you have a garden with some free space, you can easily grow your own turnips and will be able to harvest them within a few months. Orange coloured fruits and vegetables tend to contain large quantities of beta-carotene, and pumpkins are no different. Beta-carotene is converted to vitamin A in the body, which is needed for numerous bodily processes. If you are watching your weight but are also a big fan of sweet dishes, you can use pumpkin puree in a number of delicious desserts. When it comes to eating healthy, broccoli is one of the foods that ranks high. The reason for this is because broccoli is chockful of so many nutrients. As an added bonus, it provides you with 2.6 g of protein per cup. If you enjoy eating your vegetables crunchy, be sure to cook broccoli for only 2 or 3 minutes because it tends to get soft very quickly. If there’s one food that you should eat when trying to lose weight, its definitely the mushroom. It is low in carbs and calories but highly filling at the same time. Mushrooms are also the only vegetable source of vitamin D.
‘Mushrooms’ is a broad term that refers to the fruiting body of a fungus, and there are many types, including button, oyster and portobello. Green beans (also known as string beans or snap beans) are a member of the legume family, but have a much lower carbohydrate content than other beans like kidney and adzuki. Green beans contain small quantities of lots of different vitamins and minerals. They are widely available in grocery stores and at farmers markets. Some of the benefits associated with eating fennel include its ability to lower blood pressure, reduce inflammation, aid digestion and promote bone health. Even though it is a bulb vegetable, it only has 6 g of carbs per cup. Try out this nutritious and tasty creamy soup if you are stuck for ideas on how to use fennel. 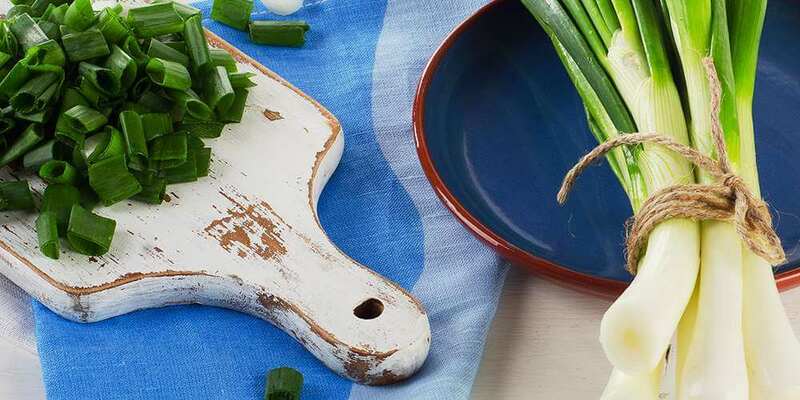 Scallions are known as spring onions in some parts of the world and are a common ingredient to use in place of ordinary onions, in dishes like stir fries and salads. Spring onions contain a lot of vitamin K, with one cup having more than 200% of your daily requirement. They also provide smaller quantities of vitamin A, vitamin C, the B vitamins, calcium, iron and potassium. 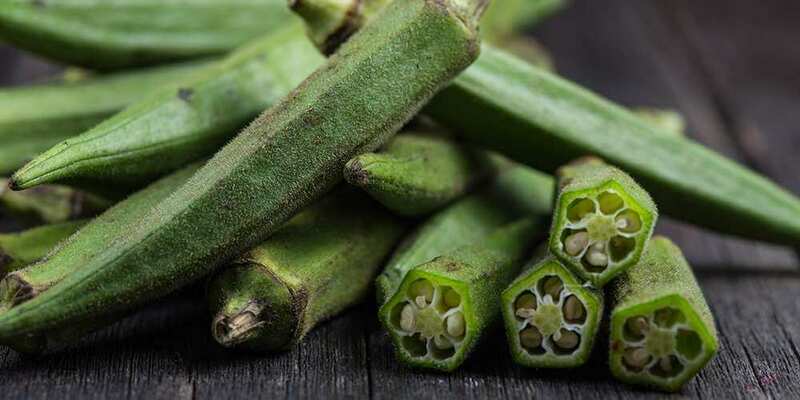 Okra is a vegetable commonly found in African and Indian cuisine. It is a source of calcium and protein, improves heart health and eyesight, and studies have found that it may help to treat diabetes. It can be boiled, fried, steamed or grilled, meaning it can be enjoyed in a number of different ways. Kale has long been considered to be one of the healthiest foods there is. The reason for this is because it contains impressive amounts of almost every common vitamin and mineral. Its vitamin K content in particular is truly remarkable. Kale is also loaded with powerful antioxidants like kaempferol and quercetin that help to reduce the damage caused by free radicals in the body. The crunchiness of Brussels sprouts gives you a good hint that this is a high fiber vegetable; it has 3 g of fiber per cup. It also has 3 g of protein, which means it is very filling. Being a cruciferous vegetable, it has powerful anti-cancer properties, as can be seen in studies such as this and this. As you can see, there’s plenty of low-carb vegetables out there. Only a few vegetables such as corn, sweet potatoes, parsnips and regular potatoes have what would be considered a high carbohydrate content. The table below compares the total carbohydrate and fiber content found in 100 g of various vegetables. Is coconut milk fattening or good for weight loss?